Oberndorfer's qualified and certified Mequon landscaping professionals will help you from design to installation. With our vast array of hardscape materials, we are able to create functionally pleasing spaces including patios, decks, walls, planting beds and water features. Using environmentally conscious practices, our landscaping professionals will help to achieve a pleasing outdoor living space. 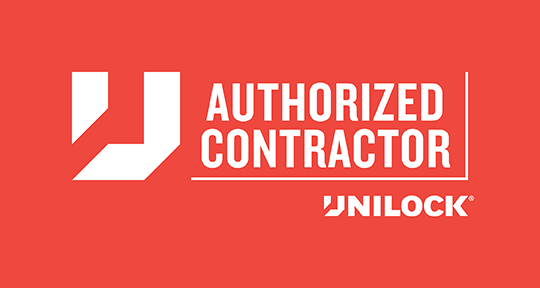 Excellent materials from local suppliers and installation practices focusing on every detail allow us to create the perfect product for our customers. Contact Mequon landscaping professionals at Oberndorfer Landscape Development for exquisite landscape and patio design and installation. If it makes your property beautiful, Oberndorfer Landscape Development has the expertise to get the job done right. 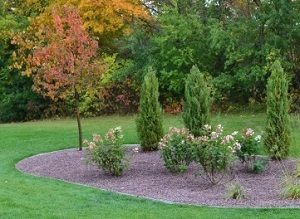 No other Mequon landscaping service matches our keen attention to detail. Oberndorfer's team of landscapers have years of experience installing decks in Wisconsin. We provide a variety of custom design options from built-in seating to enclosed storage spaces underneath your new deck. Let Oberndorfer Landscape Development bring your backyard fantasy to life. We highly recommend composite deck installation in Ozaukee County instead of traditional wood. A composite deck lasts much longer, and requires little maintenance. These decks do not require staining or sealing and they stay strong in extreme of weather conditions, making them especially ideal for Southeastern Wisconsin's unpredictable weather patterns. Start getting the most out of your backyard with a beautiful new deck from Oberndorfer Landscape Development. Give your home a polished finish by adding a hardscaping feature to your yard. 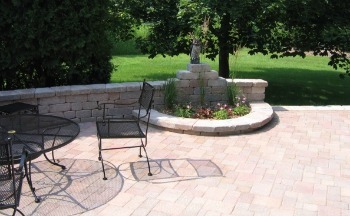 Our Ozaukee County landscapers are equipped to handle any type of hardscaping designs you want for your backyard from a stone retaining wall or a fieldstone entry walkway to a brick fire pit. Our professional landscapers can turn your yard into a stunning gathering place for friends and family. Hardscaping can instantly boost the look of any home. You will be thrilled to see the way a brick paver patio or flagstone stairway can transform your backyard into a striking focal point. Oberndorfer Landscape Development will get the job done quickly and professionally. We are sure you will be happy with the finished result. A pergola or arbor can transform your yard into a quaint vineyard in Tuscany or transport you to the ancient gardens of Athens. 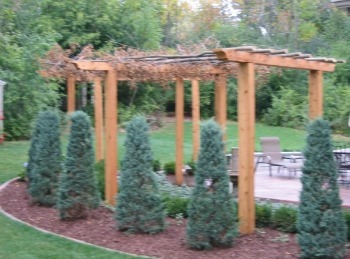 Pergolas are a small but noticeable addition to any yard. They also serve as a great support for creeping plants. Installed in a grassy corner or on top of a flagstone patio, pergolas provide protection from intense direct sunlight, while still allowing for a nice light breeze and some indirect sun. Relax and unwind in your own personal haven with professional Wisconsin pergola installation from Oberndorfer Landscape Development. Landscape Development, your home will look elegant and well maintained. Oberndorfer does it all, from laying sod and seeding your current lawn to installing new flower beds and trees. A professional, well landscaped lawn also adds to the overall property value of your home. The addition of outdoor lighting enhances the appearance of your home and allows the party to continue after the sun goes down. Whether you are looking for decorative lighting, a spotlight to highlight your favorite planting or patio lighting, our expert team of landscapers will take care of it. Decorative outdoor lamps lining your walkways add a look of sophistication during the day while providing useful light and safety at night. Add charm and fun to your patio with outdoor lighting. With the addition of patio lighting, you can continue to enjoy your own personal backyard getaway well into the night. Enhance your outdoor space, increase property values and turn your backyard patio into a functional addition by installing an outdoor kitchen and grill. A beautifully installed outdoor kitchen will transform a plain patio into a 3 season entertainment center. 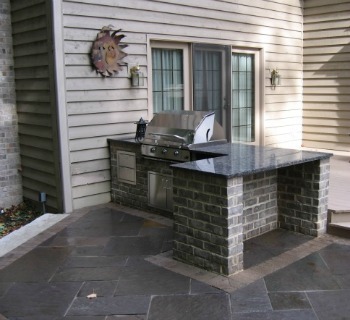 Let our skilled landscapers install an outdoor kitchen so you can enjoy entertaining your guests. With an outdoor kitchen, you will be able to prepare, cook, and serve your meal without ever having to leave the conversation. Our outdoor kitchens are made of the finest quality materials. They are durable and able to withstand all four of Wisconsin's seasons. An outdoor kitchen from Oberndorfer Landscape Development is sure to wow your guests and neighbors. Our Ozaukee County water feature installation services will give your yard added dimension and life. Let us create the backyard you've been dreaming of.Cascading water and serene ponds are a unique addition to any yard. There are many benefits of adding an outdoor water feature to your yard. A pond will keep your soil moist, plants surrounding the pond won't wilt or dry up due to the heat which accompanies Wisconsin summers. Ponds also collect any excess rainwater from your backyard, and attract interesting wildlife to migrate to your backyard. Frogs, dragonflies, turtles and colorful birds will all flock to your backyard pond! 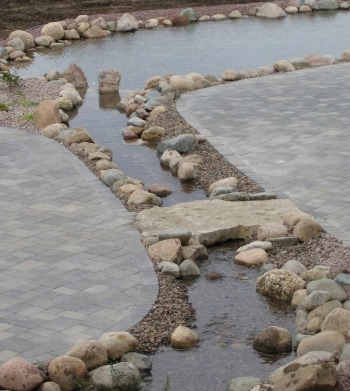 If your dream home includes water features, our team of Mequon landscapers can bring your dreams to life. 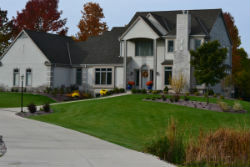 Oberndorfer Landscape Development provides dependable seed and sod lawn installation services in Southeastern Wisconsin. We will help you choose the best option for your lawn depending on your property and budget. Seed Lawns: These lawns need time to grow and don’t require much maintenance at the beginning of its growth period. In Wisconsin, seed needs to be laid in the fall to grow successfully. Grass seeds come in a variety of types, so you can choose the best option for your home. For example, some seeds grow better in sunlight, while others grow better in the shadows. Sod Lawns: These lawns are instantly beautiful. It doesn’t need time to grow and only needs to be laid. It can be placed during any season. Sod lawns can be more expensive than seeding. If your yard is sloped or prone to erosion, sod is a great choice, because you don’t have to worry about the seeds being washed away or slipping down the hill. 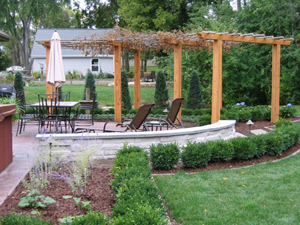 Contact the top landscape design service in Wisconsin to give your property professional visual appeal.